Discussion in 'Electric Instruments' started by 88prs, Feb 12, 2019. Hi, Anyone change out their standard wrap tailpiece for an Adjustable PRS Stoptail? Pretty easy to set the action without marring the studs? If by standard you mean the solid one piece block, yes the swap is easy. I haven't done it myself, but seen someone swapping them with no issues. They should fit right into the currents studs. However, they are not easier nor more difficult to adjust the action. You still should still loosen the string and adjust the height using a quarter on the the two stud screws. What the adjustable stoptail gives you is a finer intonation adjustment for each string. It still has those little screws you adjust with an allen wrench at the two studs, but it also has an individual flat screw for each string. Does this make sense? Did I understand your question correctly? And finally, are you planning to use different string gauges on your guitar? The reason I ask is that if you stick with 10s, you might be better off keeping the stock stoptail. I haven't tested this for myself, but I've heard that Paul believes the non-adjustable stoptail gives you more sustain. Though, my McCarty came with the adjustable stoptail and it has amazing sustain. Good food for thought..... I'm changing because the D string is starting to buzz a bit (Fretted or not). When I look at the bridge it does tilt forward and I've heard over time this can occur causing the strings to lose firm contact where the string exits the bridge.. I've done several, replacing with the MannMade 2300. Couldn't be happier. matt3310 and DISTORT6 like this. It's an easy fix that will save save you some money. Question: what would be the benefit of this swap? Are the saddles brass, so the tone would be different? As near as I can tell, intonation isn't at all a problem for my McCarty or SE 245, so it seems like that wouldn't be a benefit. If you do decide you need a new bridge to sort things out, you could use another fixed bridge. Somebody who has swapped bridges might even have a spare. If the washer doesn't work, you can check the TonePros locking studs. Way less expensive than getting a whole new bridge. They are available in imperial and metric system. My understanding is that you want the imperial system for the made in USA guitars and metric for made in Asia. I put adjustable bridge on my McCarty because I was using lower tunings. D and drop C.
I also put locking studs on it and highly recommend this mod. It keeps the bridge flat and tight plus you can take all the strings off and bridge won't move or fall off. The saddles on the MannMade are brass. IMO, increased sustain and note clarity, especially on an SE. ^ I agree that brass may increase sustain and note clarity. My McCarty came with the adjustable PRS bridge, which I'm pretty sure has brass saddles and I love that guitar. However, in theory, the one piece design on OP's guitar increase sustain by not having moving parts. I haven't tested it myself, but it seems plausible to me that the increased sustain of using brass saddles could be matched by using a solid piece bridge. Have you A/B'd them side by side? At this moment I can only make conjectures, but if you have actually tested the difference, I'd be interested in hearing what you found. Anyway, MannMade stuff are awesome. The adjustable PRS bridge also works pretty well for me. However, since the buzzing is being caused by the back of the stoptail being risen at the back over time, I don't see how swapping the bridge will address the issue permanently. I think either the locking studs or the washer solutions will likely directly address the issue at a considerable lower cost less than swapping the entire bridge. Both of these solutions should prevent the bridge from creeping up over time. Also OP expressed that he did not wish to mess with the sound of the guitar, but, if possible, address only the buzzing issue. Thus, I think the less parts he changes in his guitar, the more likely OP will achieve what he's after. I know you were just replying to another comment, so I didn't mean to suggest that you were suggesting OP to swap his bridge. I just thought It'd share my thoughts, which might help OP save some money he doesn't necessarily hove to spend to fix the buzzing on his guitar. Definitely more sustain on the Bernie and One that I put them on. Harder to tell on the Core Studio and Cu22. Definitely more openness to the notes, though. I did. I got the Schroeder adjustable on my 2008 CU22 I bought new. 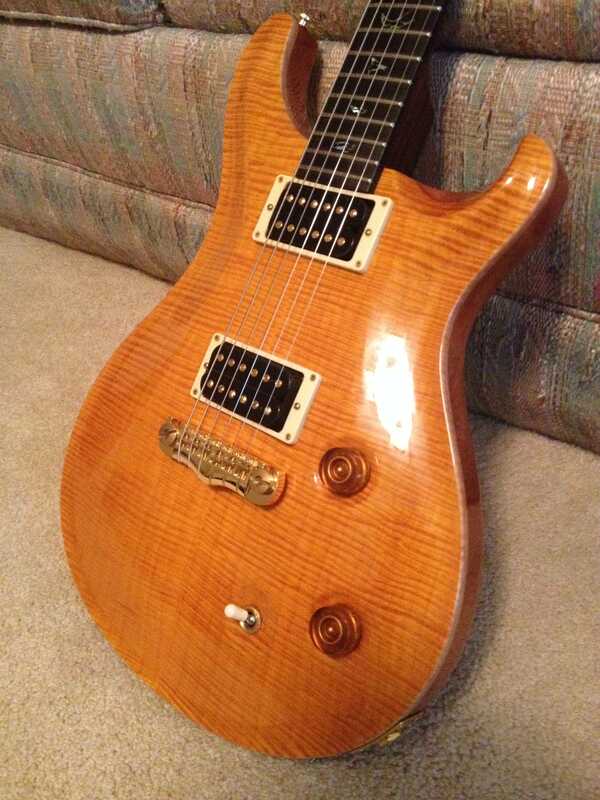 Love the sound, the fact that it locks in place, and I think it is more attractive than the regular PRS wraptail. 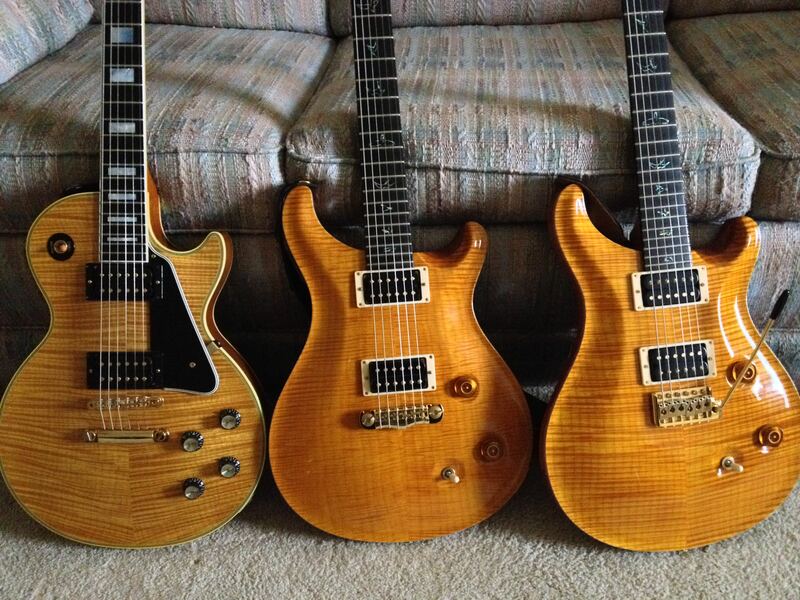 I like the Mann and PRS adjustables as well.